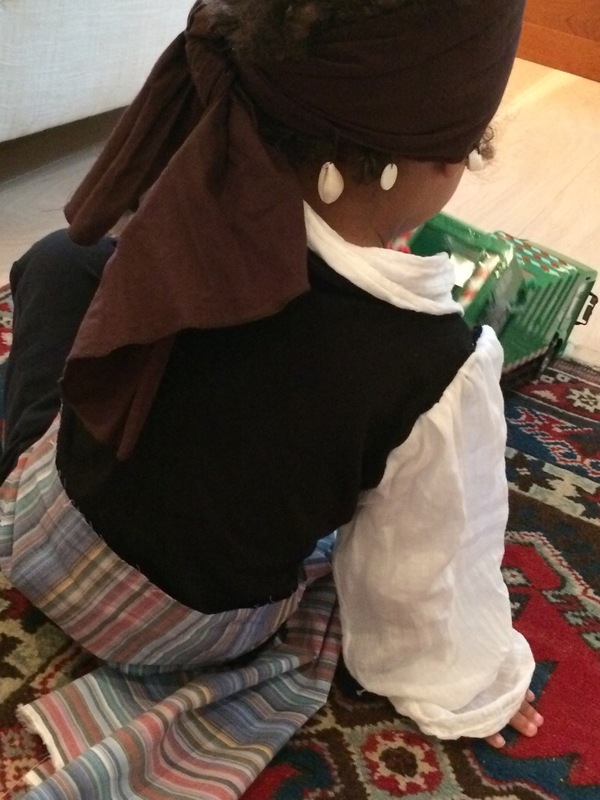 In my day a Pirate outfit involved an eye patch, a wooden leg, cutlass. And a parrot. One of the highlights of my childhood was watching Peter Pan, where Captain Hook got his comeuppance. Since the block-busting Pirates of the Caribbean film, and Captain Phillips – which features modern Somali pirates – we have different images in mind. 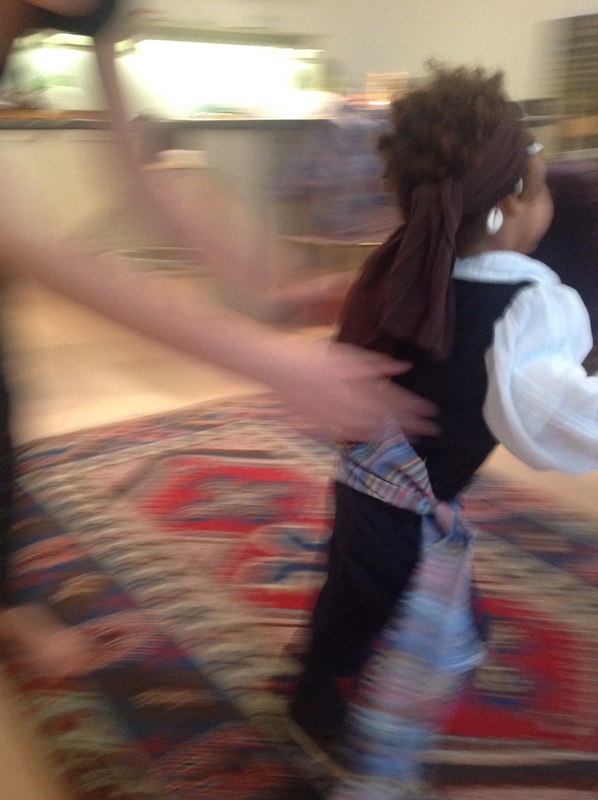 Which was a relief as I had very little time to put an outfit together for Ted to wear to a “Pirate Party”. I sliced the collar and sleeves away from the white blouse. I reduced the cap on the sleeve, and elasticated the wrists. I removed the T-shirt sleeves and inserted the new white sleeves and collar. I cut a piece from the brown skirt (lots left for other projects), and sewed on some of the shells I had prised from the necklace. I made a belt from a torn off strip of some stripy blue cotton. I understand the moustache was applied when Ted was asleep. Our young pirate was not that keen on being photographed this morning.